In the interest of full disclosure, Social Smoke was kind enough to give us this flavor to try. 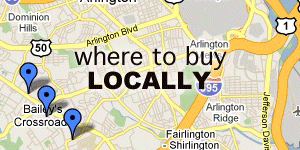 However, we work hard to deliver opinions unbiased by brand, vendor, or the circumstances that led to their acquisition. This batch of Social Smoke Lime has a medium to fine cut and is very wet, but slightly less so than what is ordinarily found in Starbuzz. I noticed only a few very small stems, but this will likely vary with the batch. This review was performed after two sessions on an Al Fakher Large Solid hookah. I used a Vortex Bowl with three Coconara coals, sealed with a double layer of standard tin-foil punctured in a star pattern. 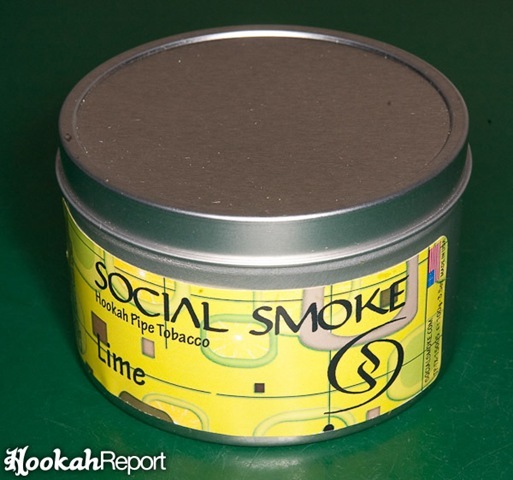 Social Smoke Lime required a little more heat than other brands to begin producing dense smoke. To alleviate this, a large wind cover was added to help get the bowl started. Once started, it smoked much like the comparable brand Starbuzz. I experienced virtually no buzz while smoking Lime, in fact, found myself wanting to draw more often than most other flavors but still didn’t get light-headed. Social Smoke Lime has a clear citrusy lime taste. There is a hint of tartness that accompanies the smoke, as well as a subtle mint flavor which only appears toward the end of a draw and affects the back of the throat most clearly. The taste may more accurately be likened to a glass of cold limeade, though just barely sweetened. Social Smoke Lime was nothing short of delicious. The flavor was mild, but distinct. The cooling sensation was a welcome addition and went a long way to producing a robust experience. 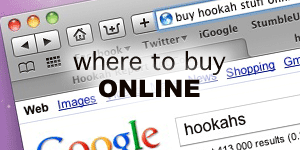 Unfortunately, Social Smoke is a premium brand of tobacco and the prices reflect that. While Lime would make an excellent daily smoker, the $21 price tag may deter people from using it as such. 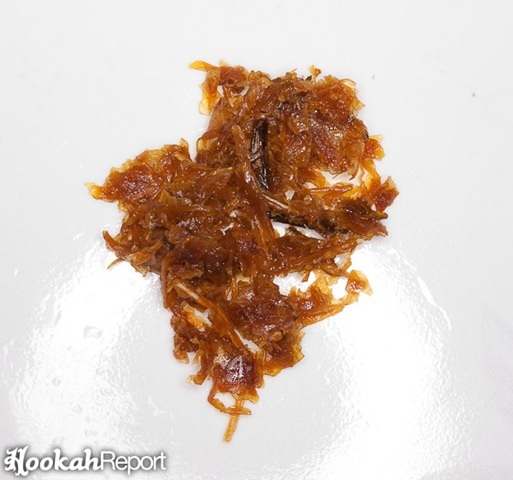 Lime will likely be enjoyed by almost anyone who prefers their hookah tobacco less sweet. Unlike the Al Fakher or Sarbuzz Orange flavors, which are very sweet, Lime is citrusy, but not sweet. If you’re a fan of citrus flavors, don’t assume that you will love Lime as well, though it is certainly worth a try. This flavor will be most suited for people who like the citrus taste found in flavors like Romman Good Times, but also prefers things less in-your-face.